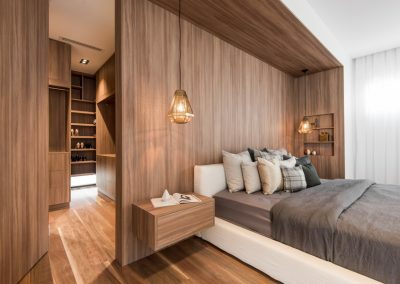 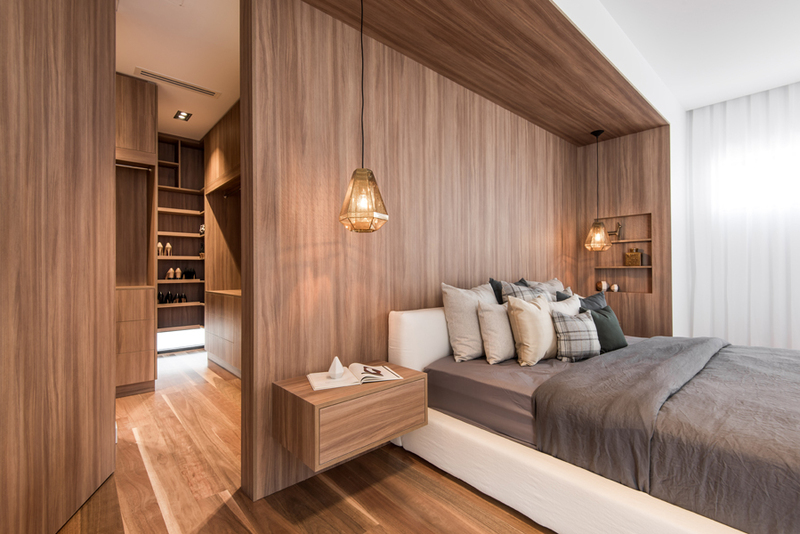 “The Vincent” is a modern and edgy contemporary design with a line-up of quality amenities that also doubles as a fully functional family home. 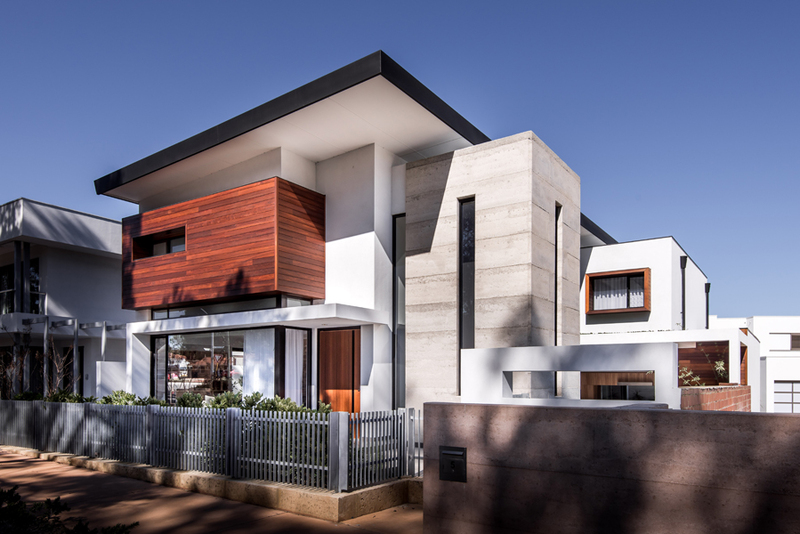 It is situated in a newly developed residential estate in Perth’s western suburbs. 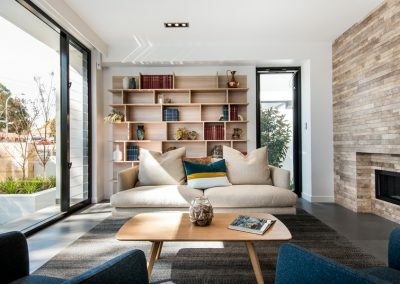 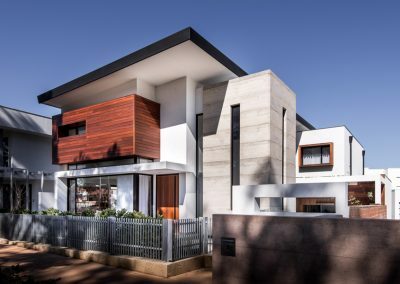 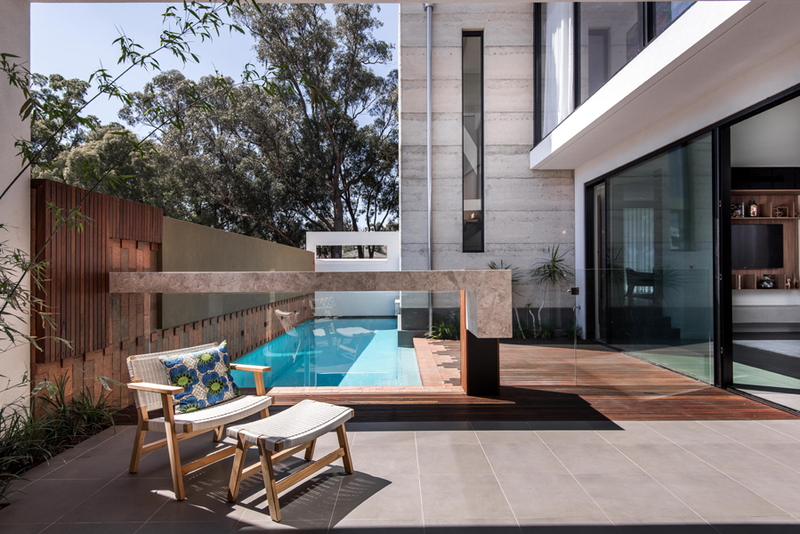 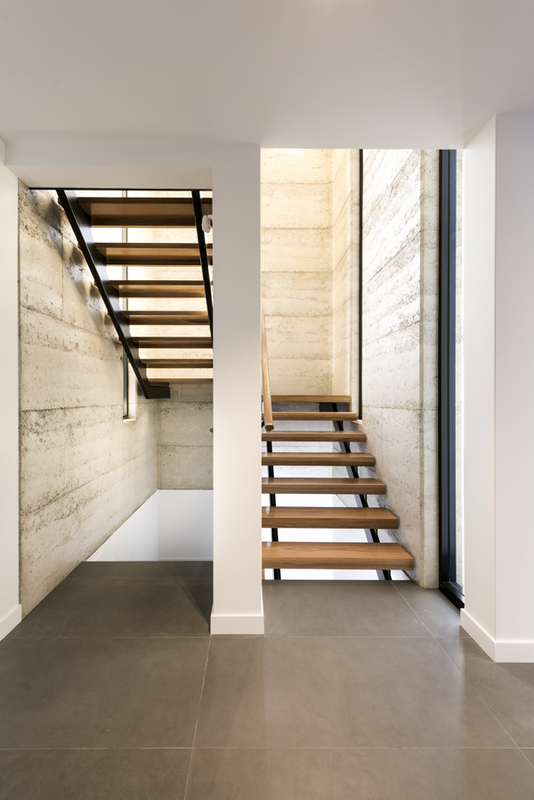 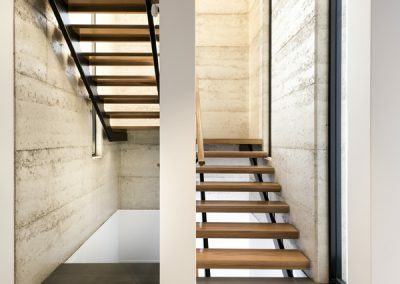 This two storey contemporary landmark design utilises a contrast of mixed materials and textures to bring warmth and detail into the home and a connection to nature along with sustainable building principles. 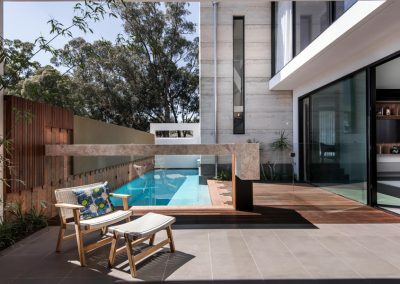 Being a relatively small block in a new development, there was a conscious effort to serve up a design style that eliminated the feeling of being boxed in and surrounded by masonry. 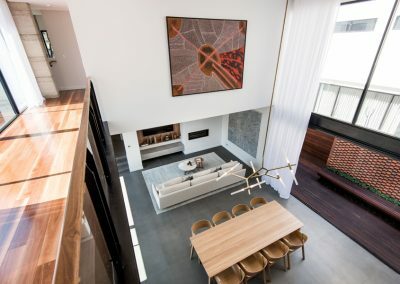 A large living and void area connects the indoor and outdoor spaces. 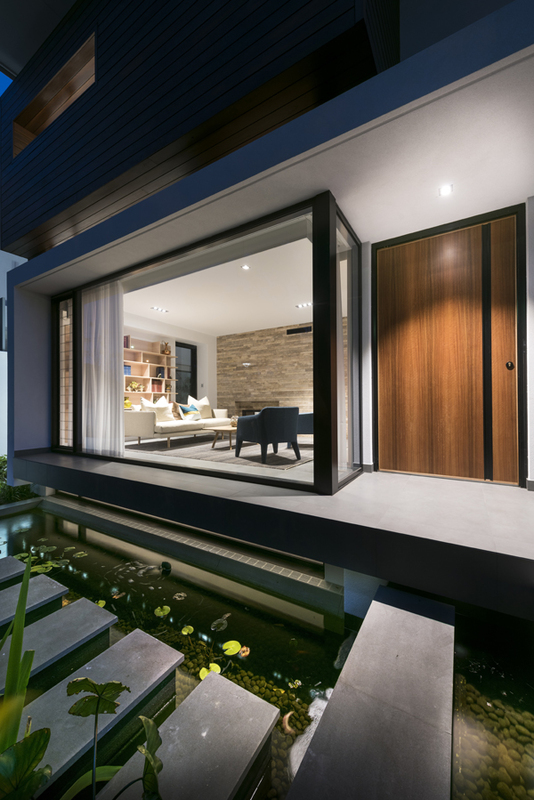 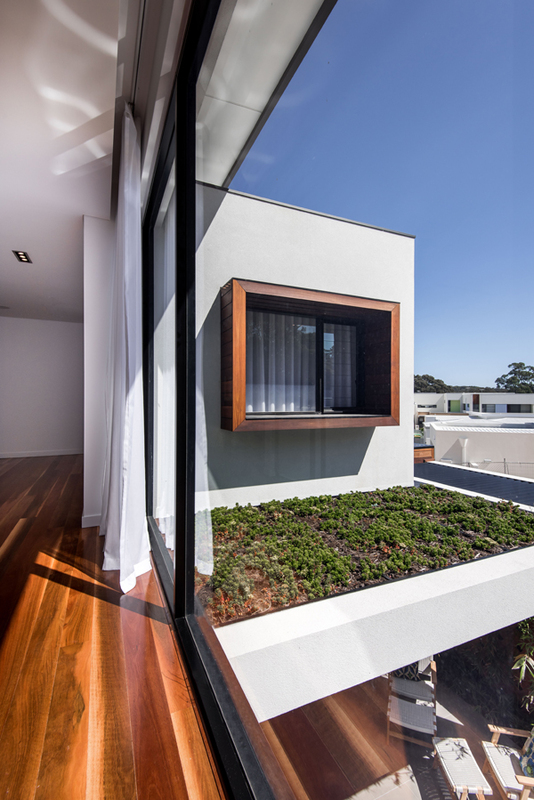 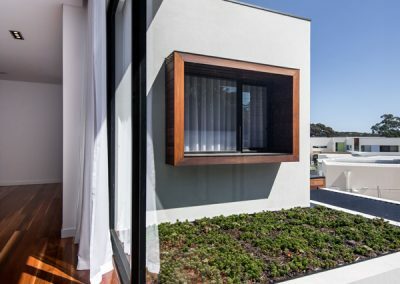 There is a transition from the internal living spaces to the outside spaces not only at eye level but they are also connected to the sky and surrounding trees through large north and south facing windows and voids. 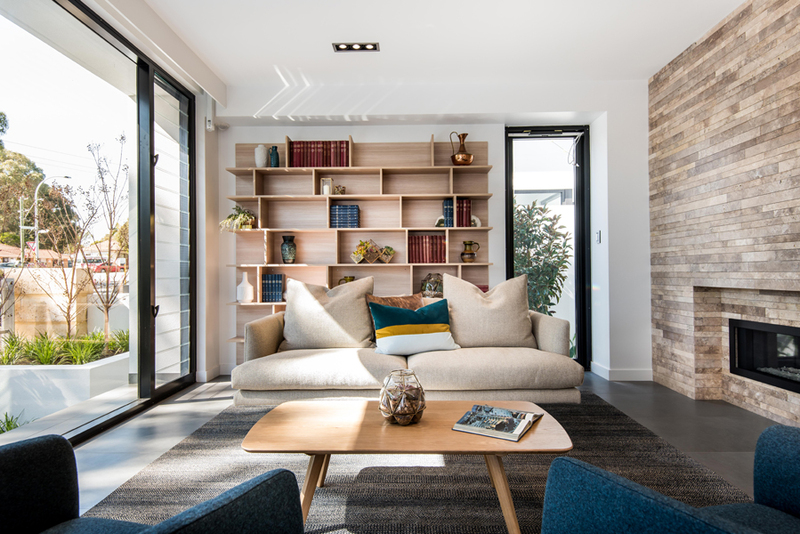 The ground level consists of a library, kitchen, living and dining area with full height (two storey) glazing on the southern side of the home to absorb maximum natural light in the living areas whilst glazed walls on the north of the home exploit exposure in the winter. 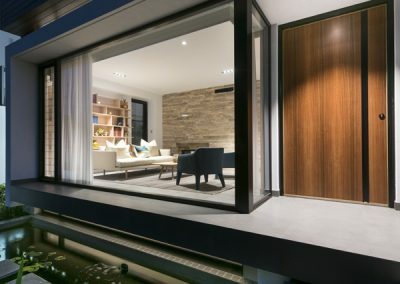 Using Breezway Altair Louvre Windows in this design allowed the Building Designer, Daniel Cassettai to really exploit the effects of the full height glazing as the louvres provide the ability to open up the window without the need for transom framing that would interrupt the vertical aspects of the glass.